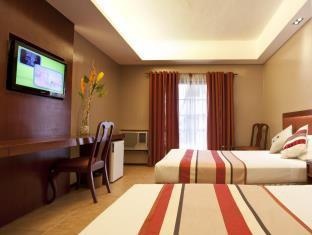 Set in a prime location of Ormoc, Ormoc Villa Hotel puts everything the city has to offer just outside your doorstep. Offering a variety of facilities and services, the hotel provides all you need for a good night's sleep. Facilities like fax machine, 24-hour front desk, Wi-Fi in public areas, car park, room service are readily available for you to enjoy. Television LCD/plasma screen, internet access – wireless, whirlpool bathtub, non smoking rooms, air conditioning can be found in selected guestrooms. The hotel offers various recreational opportunities. For reliable service and professional staff, Ormoc Villa Hotel caters to your needs. Delicious food. Tons of food.